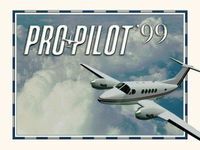 This is an average for its era civilian flight simulator for windows. Strictly a keyboard control take off flight and landing simulation. You have a generic cockpit display under a windshield view for a visually uninspired but technically challenging flight game.